The Pitkin County landfill has the potential to become a cornucopia for local gardeners. The growing dome at Cozy Point Ranch is a four-seasons garden that creates a tropical climate for a wide variety of edible plants. A dome like this could one day be built at the Pitkin County Llandfill. 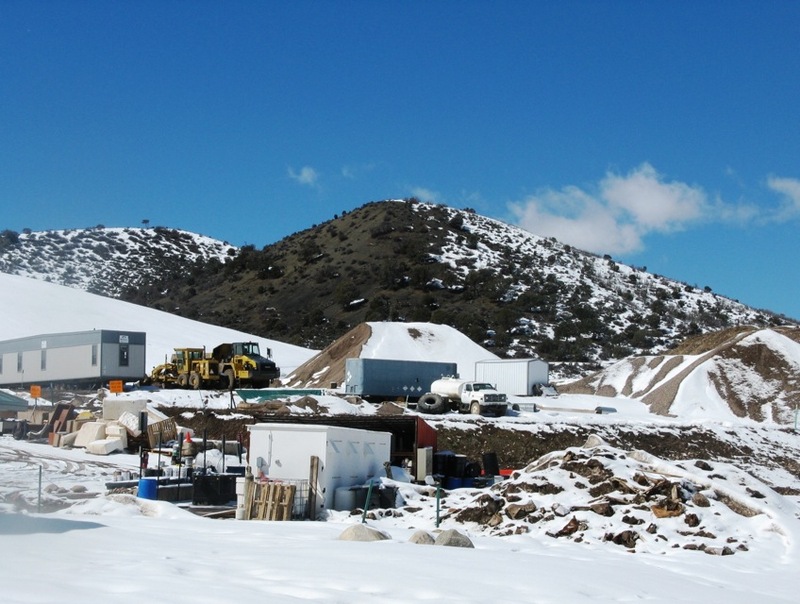 COZY POINT – Reaching the growing dome at Cozy Point Ranch recently required a trudge through deep March snow. But inside, there was a tropical rainforest brimming with greenery — all of it edible. 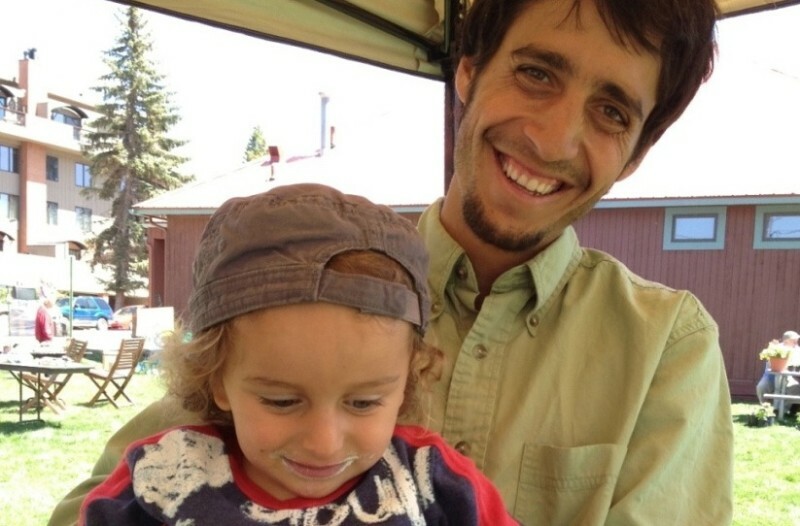 Vardy is the founder of Aspen T.R.E.E., a valleywide agricultural-education program. “Try one of these,” he said, plucking a bright yellow nasturtium from a vine thick with flowers. Jack Johnson, the public outreach and education coordinator for the Pitkin County Solid Waste Center, glanced at the flower, popped it into his mouth and chewed. Vardy was giving Johnson a tour of the growing dome, as these unlikely allies are forming a collaboration to promote the local food movement in the Roaring Fork Valley. It was Johnson who approached Vardy with a novel idea: Use the nearby county landfill as a potential site for large-scale local agriculture. The idea is novel because, to Johnson’s knowledge, it has never been done before. “I want to try an experiment to see how it works,” he said. After he was shown the variety of vegetables under cultivation by Vardy and Aspen T.R.E.E. program director Paul Huttenhower, Johnson said the genesis of a possible partnership grew out of a desire to see something constructive happen at the landfill long before it closes in 25 years. By then, the landfill could be a hotbed for community gardeners trying out their green thumbs on large-scale plots. The wood chips underfoot in the growing dome came from the county landfill, as did other construction materials used in outbuildings at Cozy Point Ranch. The 120-year-old ranch, six miles from Aspen, spans 170 acres along Highway 82. The ranch consists of 60 acres of flat, irrigated hay meadow and pasture, 30 acres of equestrian facilities, and wild hillsides covered with pinyon pine, juniper and blue sagebrush. Owned by the city of Aspen, the ranch is designated as public open space. The growing dome is a recent addition, built in October. This was made possible thanks to Cozy Point general manager Monroe Summers, who helped Vardy push the dome through the county’s land-use process, and Suzanne Wolf, a senior planner with Pitkin County, who wrote legislation to get the project approved. The dome is the valley’s first four-season community-education greenhouse, the first growing structure allowed on public open space in the valley and the first greenhouse in Colorado that overlays a “cooperative management model” with a “community supported agriculture” model. Today the dome produces tomatoes, peas, peppers, beets, broccoli, spinach, kale, salad greens and more. Vardy and Huttenhower plan to introduce passion fruit and kiwi, plus a water tank capable of growing tilapia and other edible fish, all in a balanced permaculture scenario that is self-sustainable. Johnson said he read about Vardy’s educational and sustainable farming practices, and the idea gelled to couple Vardy’s passion for local food production with Johnson’s desire to see something other than waste at the landfill. After a tour of the dome, Johnson led Vardy and Huttenhower on a tour of the landfill. As huge trash-moving machines rumbled by, Johnson laid out the possibility of farm plots being laid out on capped-off sections. 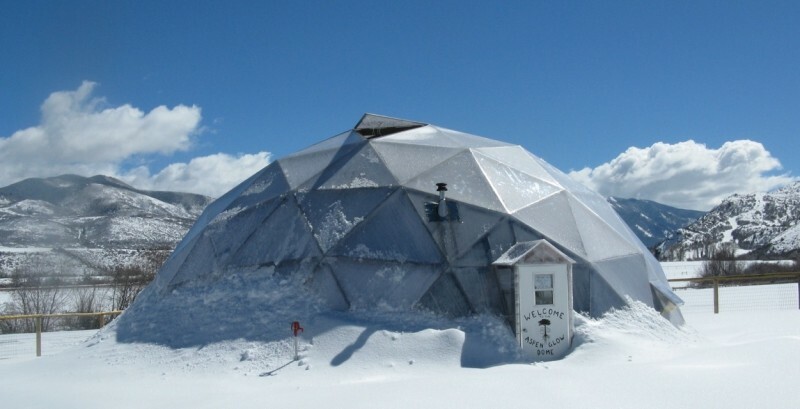 A dome like the one at Cozy Point possibly could be located at the site, where sunshine is unobstructed. Restoration ecology also could become a focus at the landfill, where restorative plants could produce land-healing vegetation. “Awesome” was the word Vardy used repeatedly as Johnson showed him site after site where farming could take place one day at the landfill. Vardy and Huttenhower will collaborate with Johnson on devising a management model for the landfill that could make it a cornucopia of greenhouse and garden-grown vegetables someday. To initiate that process, the first in a free public series of “Living Laboratory Workshops” was held March 8 at the landfill. The program featured Jeff Pieper, of Colorado State University Extension Services, who now serves as the Eagle and Pitkin county extension, or agricultural, agent. He gave a talk on the physical and nutrient components of soil. Pieper is the first extension officer brought into Pitkin County in nearly 20 years. He described the proper way to collect a soil sample and invited participants to return home, collect their own samples from their gardens and return them to the landfill for processing and evaluation. 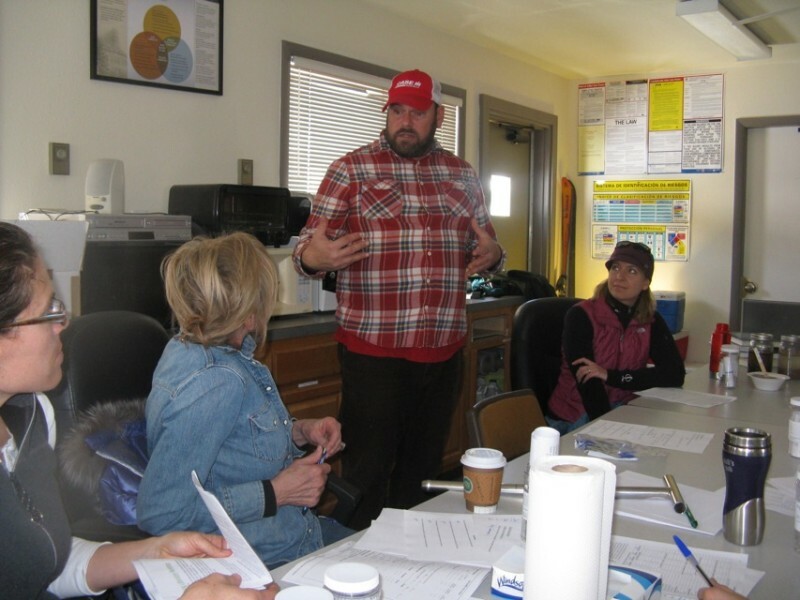 Jack Johnson, public outreach and education coordinator for the Pitkin County Solid Waste Center, welcomes participants to the first in a series of agriculture workshops held, free to the public, at the Pitkin County Landfill. With Aspen T.R.E.E.’s growing dome at Cozy Point as a test case, Pitkin County implemented new land-use regulations making it easier to build greenhouses. This reflects an increasing interest in the local food-production movement, do-it-yourself gardening, food-waste composting and recycling. Johnson says it will be a while before anything is actually grown at the landfill, although at least one site has been identified as a plot that can be reclaimed for a potential garden. 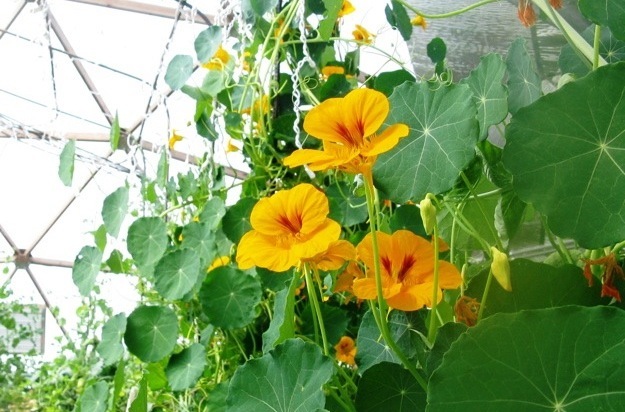 Nasturtiums, spicy, edible flowers, flourish on a trellis at the Cozy Point growing dome. Editor’s note: Aspen Journalism’s Land Desk is collaborating with The Aspen Times on stories about local land issues. The Times published a version of this story on Sunday, March 23, 2014.